Well, the post about Gmail avatars used for face recognition has a nice follow up from Google. They've acquired Neven Vision, a company specialized in image recognition. "Neven Vision is changing the way we interact with the world by providing innovative applications for mobile devices based on image recognition technology. Neven Vision has developed a suite of mobile recognition technologies that enable images to become the interface to digital content—photos of advertisements become hyperlinks to branded content portals, while your camera phone can snap a picture of your face to secure verification of identity and control access to your private data. By equipping customers with an intuitive visual interface that anyone can use, this technology is unlocking vastly untapped market opportunities in Mobile Marketing and Commerce, Personal Security, and Biometric Identity Verification." This technology will be used by Google to improve Picasa, by detecting and recognizing obects and persons in the picture. But the biggest challenge would be to integrate this into their image search engine and to create a mobile version for local search that will allow you to upload pictures and get information about the place / objects in the picture. "Neven Vision comes to Google with deep technology and expertise around automatically extracting information from a photo. It could be as simple as detecting whether or not a photo contains a person, or, one day, as complex as recognizing people, places, and objects. This technology just may make it a lot easier for you to organize and find the photos you care about," says Picasa's product manager. 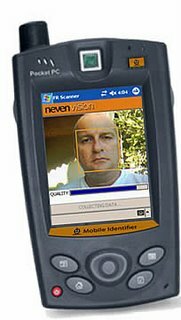 Neven Vision has one of the best face recognition software, but also a client for mobile phones that searches for relevant content related to an image. 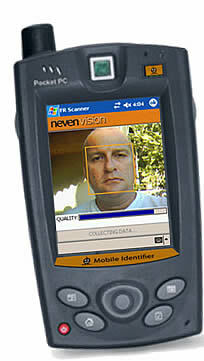 They also have the only face recognition software that runs on the microprocessors used in cell phones. Now you see why Google acquired Neven Vision, and not Riya? Here come the mobile visual search engines!